The Party Wall etc. Act 1996 can be a real minefield for home owners. Legally speaking, it provides a strong framework for neighbours to resolve disputes over building works and excavations which are on or near a shared wall or boundary. Practically speaking, its many obligations and requirements need careful management to avoid serious neighbourly discord, unnecessary costs and extensive hold-ups to your project.  Here at the Right Surveyors in Worthing, we are fortunate to have the expertise of Richard Clayson MRICS, a party wall surveyor with over 20 years of experience handling party wall notices and awards. For the last 20 years, Richard has been assisting clients in Worthing and further afield with their party wall issues. Whether it’s a residential dispute over an extension, or a new commercial development with multiple effected neighbours, Richard is able to provide competent, cost-effective advice. With dozens of successful party wall instructions behind him, Richard has developed a strong talent for diplomacy and mediation – essential skills when dealing with potentially heated conflicts. If you're after something you cant see in the list above, please don't hesitate to ask. We almost certainly have someone who can help. Under the Party Wall Act, the ‘Building Owner’ is legally obligated to serve notice on the ‘Adjoining Owner’ if they want to begin construction or maintenance works which qualify under the "Party Wall etc. Act 1996". The notice document has to outline the works proposed and, if the adjoining owner is happy enough that what is proposed won’t impact them, they can agree in writing and the works may begin. Creating the notice is typically the first involvement of a chartered surveyor as there are strict requirements as to what needs to be included. If a dispute occurs further in the process, it is essential that the notice has been written and delivered correctly. Should the notice be disputed by the adjoining owner, or not responded to at all, a dispute will have arisen and a Party Wall Award will be required to settle the matter. In such a situation, we can be instructed by the adjoining owner, the building owner or even both parties jointly. Whilst a joint appointment may sound strange, chartered surveyors are bound by an ethical code of conduct – so we are always dispassionate and fair. The appointed surveyor(s) will agree a route forward and encapsulate this in the Party Wall Award. Very often, the adjoining owner is particularly concerned that works carried out by their neighbour will cause damage to their own property. If the works are excavations, they may fear that their nearby wall will be undermined. If it is building work that is proposed, they may fear impact damage from falling materials or careless workmen. Whatever the possible cause, accusations of damage can turn in to costly legal disputes. Bearing in mind the parties are neighbours, this can get very messy, very fast. To help avoid this scenario, a chartered surveyor can provide a ‘schedule of condition’ - a written and photographic record of the condition of your property before the works commence. If damage does occur, you have indisputable proof from a credible chartered surveyor that it didn’t already exist. Where is the "Boundary Line"? Figure #1: The diagram above gives you a good idea of what surveyors term the "boundary line". This is the real or invisible line dividing properties or land. Boundary or property lines often cause problems for homeowners as original fences, walls, hedges or ditches can often move over the years and it becomes unclear where the original property boundary stood.